Shake up your restaurant’s patio this year with our latest outdoor furniture lineup! Sticking to notable restaurant trends like mid-century modern shapes and the mixing of materials, these fresh new designs can upgrade your outdoor area and give it new life. 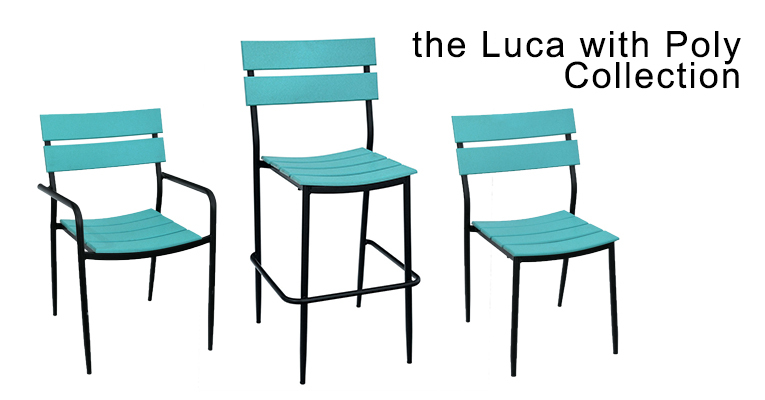 Whether you want to add a pop of color with the Luca with Poly Collection or stick to the classic dark silhouettes of the Luca or Lena Collection, East Coast Chair & Barstool has the right look for your patio. Straight lines and ladder back design give the Luca Collection bar stools and chairs their mid-century look. 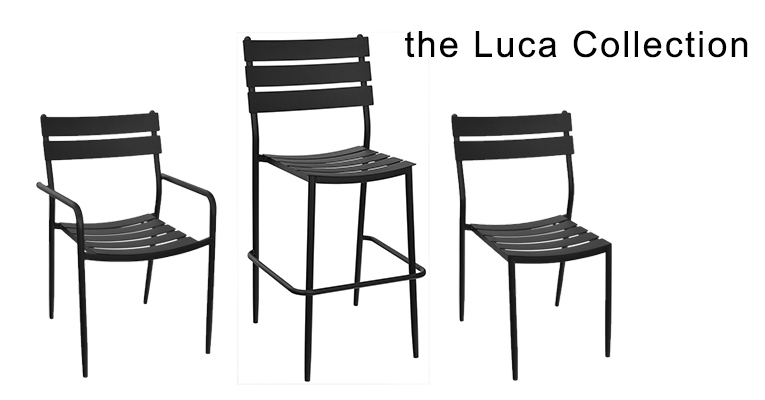 Don’t let these tapered legs fool you, the Luca Collection frames are made from e-coated steel and are fully welded, adding weight that’s great for patios subject to windy seasons. The frame has a black Sandtex finish that prevents rust and keeps this collection looking great for many patio seasons to come. 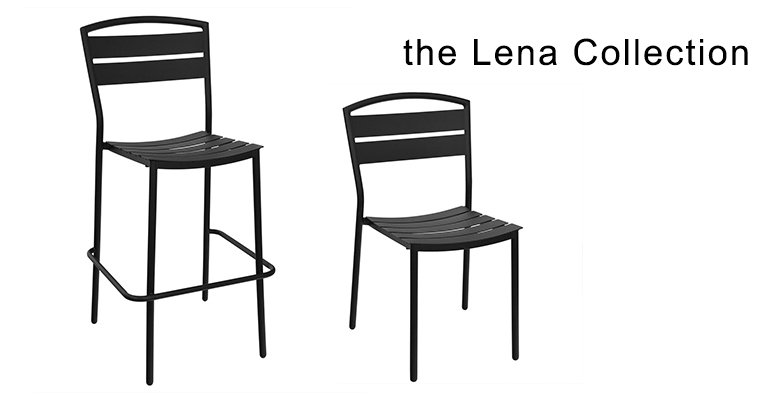 Throw your patio design a curve ball with the Lena Collection bar stool and chair. This design features a twist on the traditional ladder back with a rounded top bracing and comfortable seat. Like the Luca Collection, the Lena’s e-coated steel frame with a black Sandtex finish presents a durable front against the weather. Combine the strength of a steel frame and poly lumber slats with the Luca with Poly Collection and add a little extra personality. This bar stool, chair, and side chair are e-coated to prevent rust and increase durability. To personalize this collection, choose from over 25 domestic poly lumber colors for the back and seat. 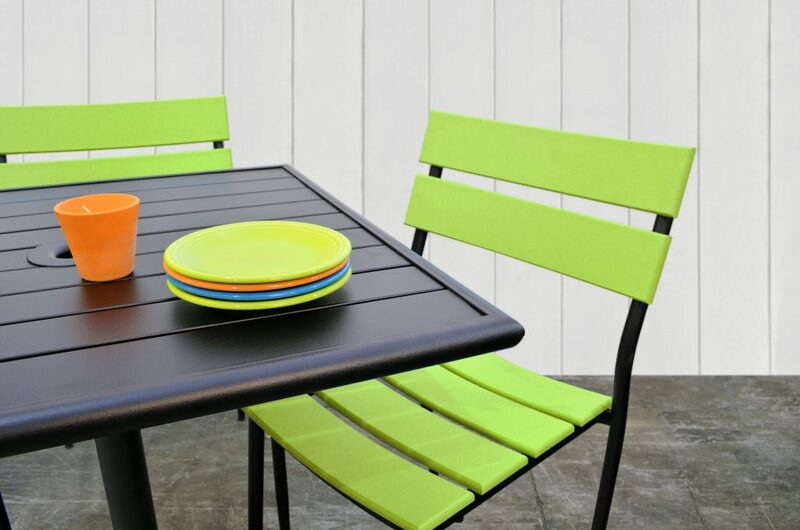 Versatile with a splash of color, create your patio’s color scheme with the Luca with Poly Collection. Classic black never goes out of style, especially for your restaurant’s patio. The Luca Collection Table Tops have a durable e-coated steel frame that’s held together with stainless steel hardware. These table tops can blend right into your patio’s look and pair well with the Luca, Lena, and Luca with Poly furniture collections. They also feature slits that not only look great but make it easy for water to drain from the table top. 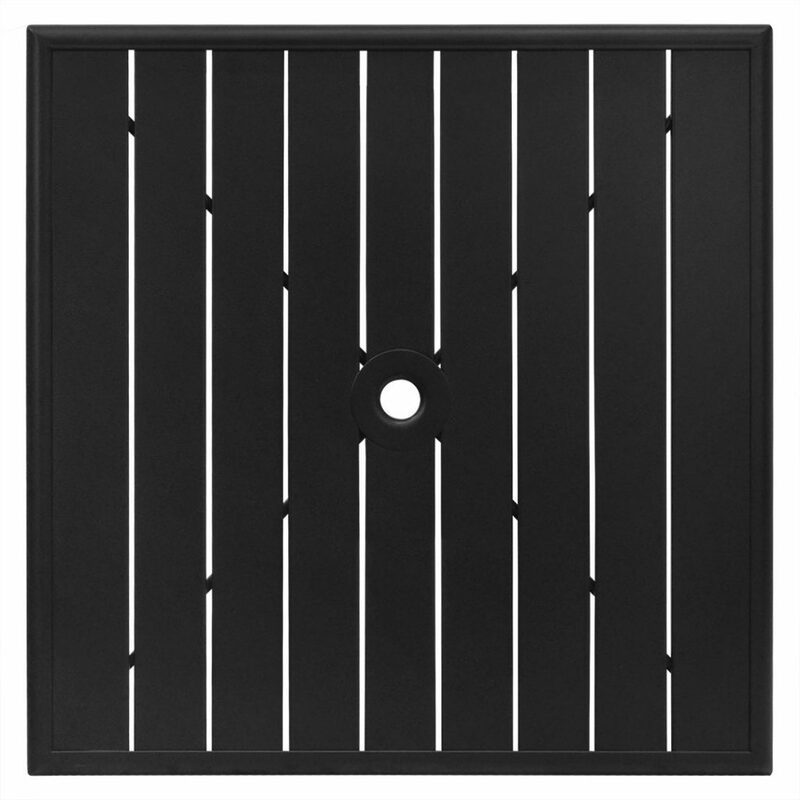 Keep your customers cool by using the Luca Collection Tables’ umbrella hole and adding an umbrella. Check out these brand-new collections on our website and in our catalog. If you have questions about the Luca or Lena Collections, please feel free to reach out to our customer care team by calling 800-986-5352.